Thank you for visiting my Yorkshire Canary website. Many original articles are reproduced, to encourage you to consider keeping these wonderful canaries which originated in England and are extremely popular worldwide. 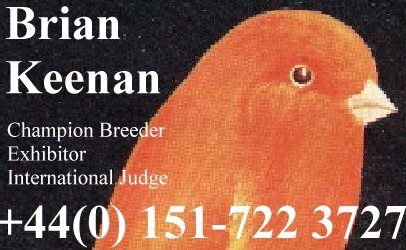 Wherever you are, please contact me if you want to take up the breed yourself. I will try to help you if I can, to encourage as many people as possible to breed and exhibit first class Yorkshire Canaries. Why not use the guest book, to share your thoughts and comments. This site uses Google Translate to help people worldwide.